At Dwyer & Coogan, P.C., we help victims injured in accidents to pursue monetary compensation for their damages. This includes falls when a person slips or trips because property owners and managers fail to address safety hazards on their properties. Learn more about your rights and legal options, and contact us today to set up an initial consultation with our Chicago slip and fall attorneys. Property owners owe a duty of care to people legally on their premises. 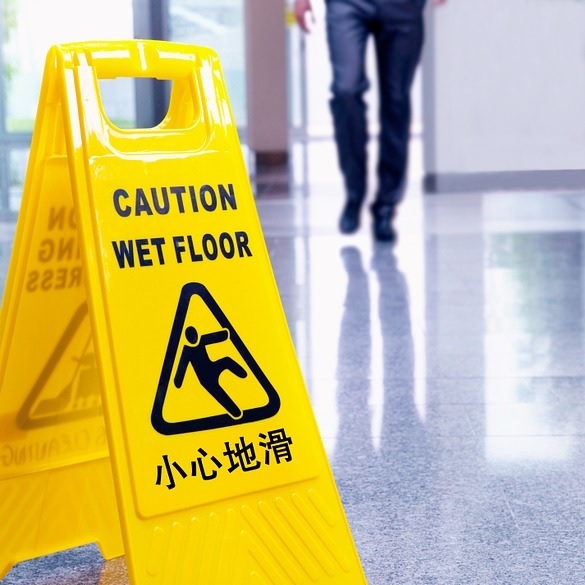 People injured due to a hazard or unsafe property condition can recover compensation for slip and fall-related damages. A property owner is liable for a slip and fall victim’s damages if they knew, or reasonably should have known, about the hazard that caused the victim’s injury. For example, if a property owner knew the handrail on their deck was broken and did not warn visitors about it, they are liable for any damages that result from an accident involving the broken handrail. Similarly, slipping hazards resulting from known leaks or wet areas because they are watery or have frozen can also create actionable claims. As we mentioned above, trip, slip and fall accidents typically happen when property owners fail to repair hazards on their properties. When a property owner knows about a hazard but cannot repair it in a timely manner, they must make the hazard clear with caution tape, an orange cone, or a conspicuous sign warning guests of the hazard. When you are injured because of a slip, trip or fall that another party should have prevented, you should not have to shoulder the burdens of your medical bills, diminished earning capacity, and other expenses alone. You have the right to pursue compensation for these damages through a personal injury claim. Contact our team of Chicago slip and fall attorneys at Dwyer & Coogan, P.C. today. We are dedicated to helping victims like you pursue monetary compensation for the damages you suffer. Do not wait to make the call. Set up a free consultation with us today.